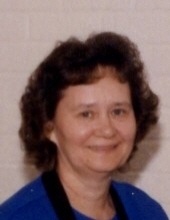 Janie Tyner Abbott, 82, entered into the Gates of Glory on April 7, 2019. The funeral services will be held on Thursday at 11 AM in the Chapel Mausoleum in Edgecombe Memorial Park, Tarboro. The family will receive friends following the service in the Mausoleum. Janie was a devoted wife, mother, grandmother, sister, and friend. A native of Johnston County, NC, she was the daughter of Ralph Bythan and Roxie Lee Waddell Tyner. She was a graduate of Pine Level High School, class of 1954. She met and married the love of her life, Clarence, in 1954 and they made their home in Tarboro. A homemaker most of her life, Janie showed love and care to her family as well as to many others. Whether it was visiting the sick and shut-ins, cooking a meal or taking care of her grandchildren or great-grandchildren she was always willing to help others. She cared for the children of many working parents over the years as well. She shared kindness and the love of God to many, often placing the needs of others before her own. “Mimi” as she was called by her grandchildren, loved bird watching, nature, including flowers and working crossword puzzles. Janie had been a long time member of Tarboro Church of God beginning in the early 1960’s where she was involved in various ministries. She was preceded in death by her parents; brother, Grover Tyner and grandsons, John Jacob Abbott and Derick Christopher Coker. grandchildren, Heather A. Pachnar and husband, Raymond, Lauren A. Bell and husband, Dustin, both of Tarboro, Jordan P. Abbott and wife, Rachel, of N. Wilkesboro, Lindsey C. Luckey and husband, Tim, of Rocky Mount, Joshua L. Abbott, C. Caleb Abbott both of Greenville, and Derick’s widow, Bobbie Jo Coker; great-grandchildren, Ashlynn, Brooklyn, and Colson Luckey, Tyner, Logan and Carleigh Bell, Myles and Saylor Pachnar, Emma C. Coker, and several nieces and nephews; and special friend and nurse, Phyllis Brown. Special thanks to Bridgett and Sabrina from Nash Hospice for the loving care they gave to Mimi. Memorials may be made to the Alzheimer’s Association of Eastern NC, 5171 Glenwood Ave., Suite 101, Raleigh, NC 27612 or to a charity of your choice. To send flowers or a remembrance gift to the family of Janie Tyner Abbott, please visit our Tribute Store. "Email Address" would like to share the life celebration of Janie Tyner Abbott. Click on the "link" to go to share a favorite memory or leave a condolence message for the family.